Welcome to our Doernbecher Fest '18 site. Please help us raise money for Doernbecher Children's Hospital! A special thanks to our shirt sponsors, Doernbecher "Court"chella, and SHS Leadership! Purchase a 2018 Doernbecher Shirt and all proceeds will go to Doernbecher! We are very thankful to our sponsors for allowing us to purchase such great shirts and to raise money for a wonderful cause. You can pick them up at lunch starting April 23rd or fill our an order form HERE and return it to Courtney Scott at the high school. Thank you to all who came and supported Doernbecher and our teams at the SHS basketball game on February 9th. Scappoose Leadership Students had booths available and all profits will go to Doernbecher Children’s Hospital. Booths included: Puppy Petting, Baked Potato Bar, Buffalo Wild Wings, Pizza Vendor, 50/50, Half-time Shootout, Face Painting, Henna, Italian Soda Bar, Krispy Kreme, Bake Sale, Photo Booth, Raffles, Plinko, Senior Faces on a Stick. It was a successful event because of your help! Thanks! For the past 16 years, Scappoose High School has held this relay in honor of a dear friend to the community, Brian Tinkle, who passed away in 2003. Brian was involved in fundraising for Doernbecher Children’s Hospital and though he is no longer with us, we have an obligation to raise as much money as we can in honor of his passion! Let's make this a fun and memorable night in honor of Brian! Cost: $25 per person. Registration forms HERE and in the SHS library. You may pay up to the day of the event, shirt not guaranteed. Come to Pizza Vendor for dinner tonight! Pizza Vendor will be generously donating 20% to Doernbecher! What a great reason for pizza! This will be one of the most exciting events that we have ever put on. You do not want to miss this. Scappoose High School will host an escape room. Gather a team of up to 6 people and see if you can figure out the clues to escape! 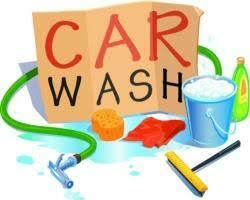 Bring your car by the car wash at Scappoose Middle School. Members of our Doernbecher Court will be there! Join us for 3 hours of unlimited cosmic bowling at Oregon Trail Lanes. Show off your bowling skills and have a great time with friends. Preregister at lunch starting April 23rd at the Doernbecher table! (limited space available) Scappoose High School students only. Come to the Scappoose High Gym and play bingo, eat dinner, and raise money for a great cause! 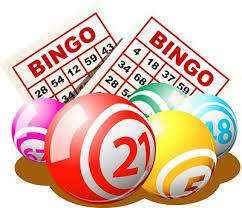 Dinner starts at 6:00 and bingo begins at 6:30pm. Preregister by purchasing your ticket at Scappoose High School in the athletic or main office or pay at the door. We’d love to see you there having fun for a great cause! Cost: $15 buy-in for pre-registration or $20 at the door. Cost includes a burger, chips, and drink! Meet the 2018 Doernbecher "Court"chella members! The best court at Scappoose High. This night time spirit assembly will provide lots of laughs and will be fun for everyone! Wear white! The 2018 SHS Doernbecher Theme is Coachella. At the Doernbecher Festival we will have a student band open and then feature Hit Machine! This is a great community event to celebrate our successful fundraising this year! There will be lots of great events happening at the festival such as live music, carnival games, festival food, festival wear, bouncy houses, and festival booths! ​Bring additional money for fun and food!